Rockumentary telling the tale of Starr's life with music and words. Narrated by Starr himself! List Price: $9.95 New Price! 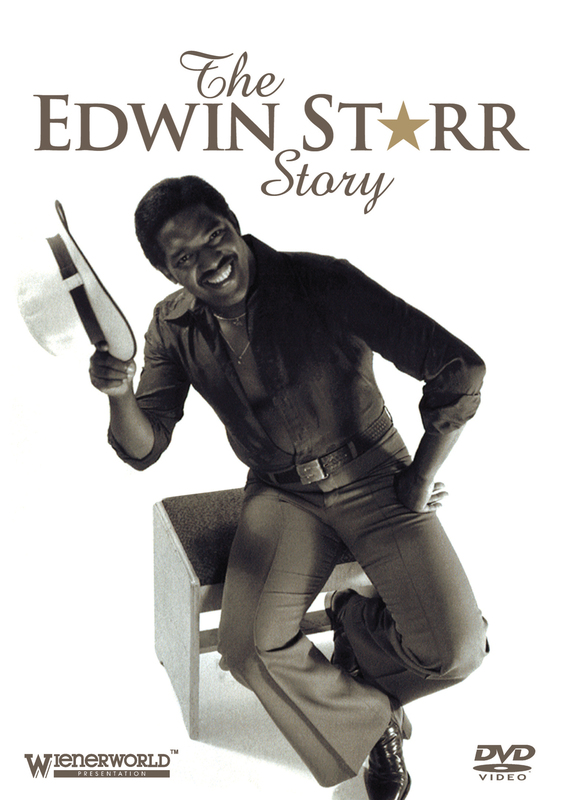 Here for the first time on DVD is The Edwin Starr Story, narrated by Edwin himself together with valued contributions from Lillian Kyle (Edwin's Manager), Angelo Starr (his brother and leader of the band) and Ian Levine (top Northern Soul DJ and songwriter). This 108 minute music rockumentary weaves the tale of Starr's life through music and words, from his early Motown days to the UK disco and Northern Soul scene, from Wigan Casino to the Twisted Wheel, and demonstrates why he was affectionately renowned to be "the nicest man in show business". As an integral part of the soul, Motown and dance floor scene from the mid 50's until his untimely death in 2003, Starr had a string of major UK hits including S.O.S, Twenty Five Miles, War, Happy Radio, Contact and I Have Faith In You.